to business cards to social media profiles and landing pages. So imagine if you walked into a job interview with wrinkled and unwashed clothes, messy hair and zero interest in the position. You’d hardly expect anyone to wave a contract under your nose, right? Well it’s the same with a digital presence. Every hit on your landing page is like that job interview. There are a million small signals processed by customers to form an almost instant idea about your business. Getting it wrong can be a disaster. If you’re wondering about the difference between your website and a landing page, the distinction is simple: a landing page is any page that channels traffic from anywhere other than pages on your own site. So you might do a pay-per-click ad with Google Adwords, and the call to action will drive traffic to a specific address that has been created to receive those viewers (like a sales or membership page). So what does it take to get it right? It’s important to get specific. Research has shown that when a specific landing page is created to drive traffic, it increases lead form submissions by 115%. In other words, if you’re hooking people to your site from other pages, you need to give them a good reason to be there. If they’ve been lured away from what they were doing only to find themselves on a lazy, generic page, you’ll have lost them forever. The best landing pages are about starting a conversation that will hopefully mature into a fully-fledged relationship. The easiest way to do this is to ask a question or to invite viewers to join a discussion. This keeps them on your page and creates an interaction that allows users to form a deeper judgement. If you’re going to have that kind of call to action, however, there need to be tangible benefits to users. You know that they’re already open to hearing what you’ve got to say so you should reward their curiosity with offers or specials. Remember, the Internet is crowded and has its roots in free content, so if a viewer gives you even a moment of their time, they’re expecting something for it. Make sure you have that something ready. Most of all, a great landing page is a chance to have a conversation without all the usual clutter of a full site. 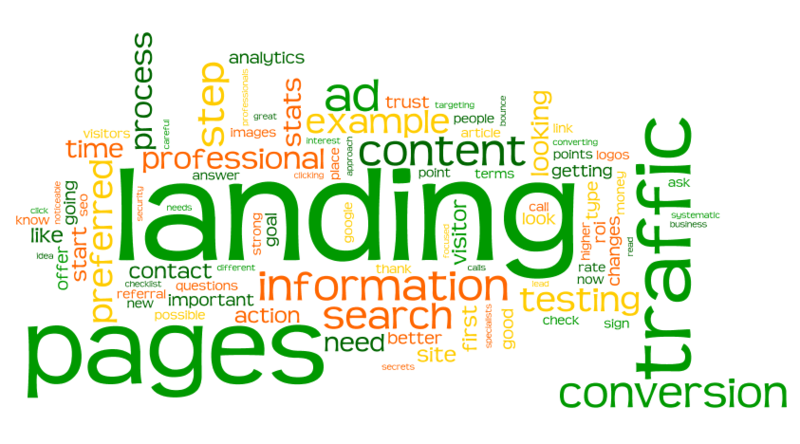 Keep your landing page down to your brand essentials. It should automatically tell viewers who you are but it should also tempt them into finding the full story from your webpage. Keep it simple and clean and you’ll be rewarded with real interest.